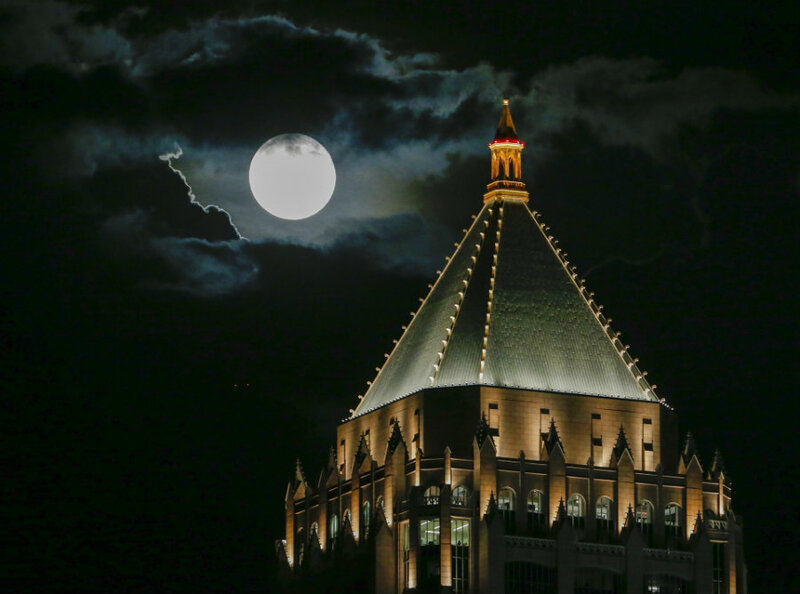 Blue Moon Images – around the World. 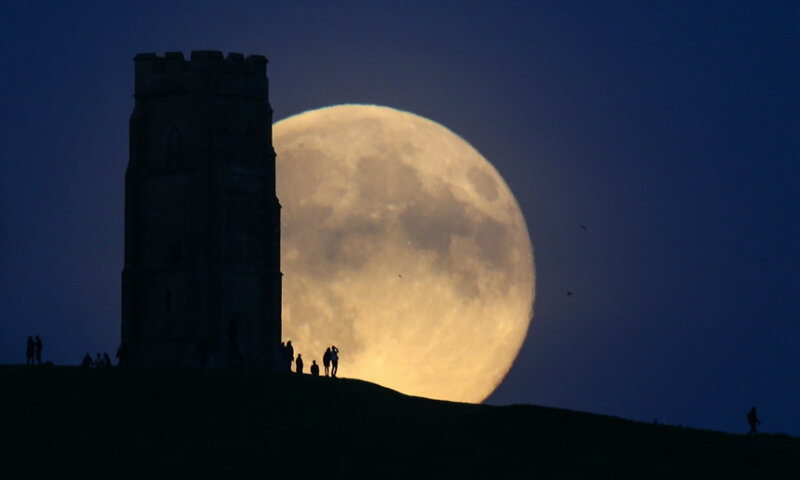 The moon rises over people gathered on Glastonbury Tor in Somerset, England. A blue moon rose in the skies for first time in three years some weeks back. The event occurs when there are two full moons in one calendar month, roughly every two to three years. 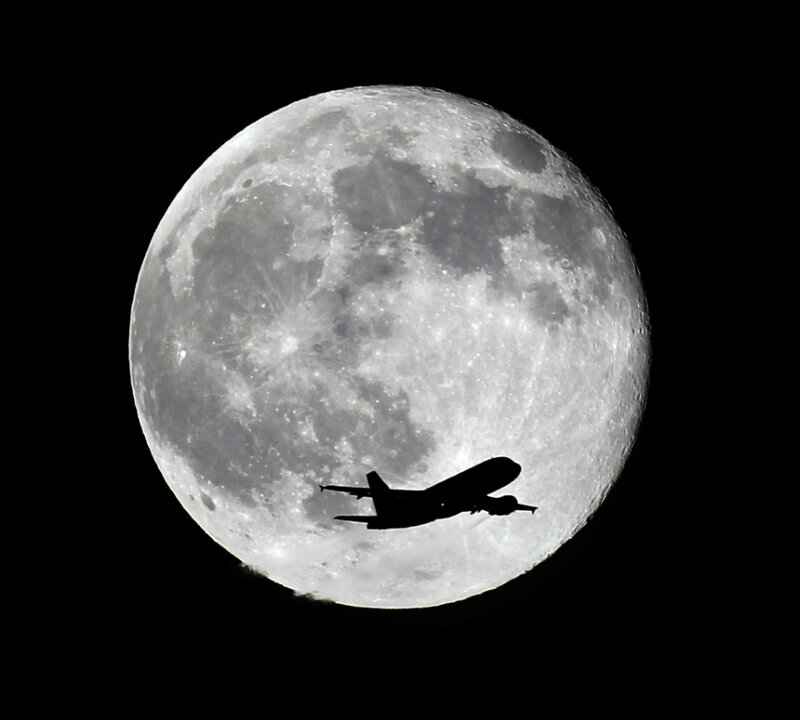 A plane from Miami crosses the blue moon over Whittier, California, as it heads to Los Angeles airport. This summer it is especially interesting as it’s also time for a supermoon, when the moon is at its closest approach to Earth, making it appear very big and bright. The One Atlantic Center building in Atlanta, Georgia, US. See more Images via Blue moon – in pictures | Science | The Guardian. ← Stunning Landscapes from an Icy World. Yes, it was absolutely amazing. These are stunning images of it.